A few spots remain to join the excitement of Thoroughbred racehorse ownership this spring with an unraced 2-year-old – the latest addition to the popular Churchill Downs Racing Club stable. 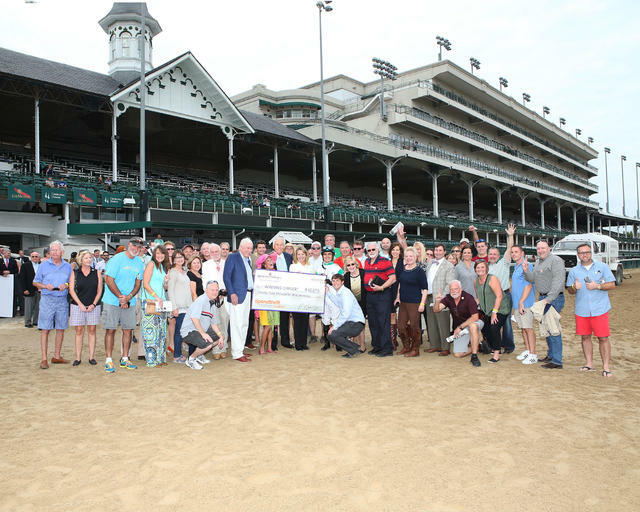 The Churchill Downs Racing Club, which was inaugurated in the spring of 2016, again will give 200 people a low-cost pathway to introduce and experience the excitement of Thoroughbred racehorse ownership for one-time membership dues of $500. The unraced 2-year-old horse will be trained by Hall of Fame trainer D. Wayne Lukas – arguably the greatest trainer in Thoroughbred racing who has won an astonishing 219 Grade I races. The club is a low-cost, low-risk glimpse into the life of Thoroughbred ownership. Gary Palmisano will represent the club’s interest and serve as a liaison for the club’s members. Benefits will include regular e-mail updates on the horse, visits to the track in the early mornings – and breakfast on select days – to watch the horse train, trips to the paddock, watching the race in a group setting and hopefully experiencing the thrill of visiting the Woodford Reserve Winners’ Circle. Each member will receive free general admission for two to Churchill Downs in 2019, and invitations to exclusive Churchill Downs Racing Club events at the track. Interested parties are invited to register online at www.ChurchillDowns.com/RacingClub. The Churchill Downs Racing Club is a 501(c)(7) not-for-profit social club organized for pleasure, recreational and other non-profitable purposes. Members should not join with any profit motive or expectation of profit. The Churchill Downs Racing Club debuted in 2016 with two groups of 200 members for the filly Dial Me (20-2-4-5—$88,290) and the graded stakes-winning colt Warrior’s Club (31-5-8-5—$791,504). Warrior’s Club, trained by Lukas, most recently finished second in the Grade III Commonwealth Stakes at Keeneland and is targeting the Churchill Downs Stakes (GI) on Kentucky Derby Day. This club will be the seventh installment of the Churchill Downs Racing Club. Other active horses are Distant Shore (5-1-2-1—$55,270) and Rare Form (5-1-0-0—$52,504). There are more than 700 Churchill Downs Racing Club members and 60 have moved on to join other Thoroughbred ownership groups, according to Palmisano.